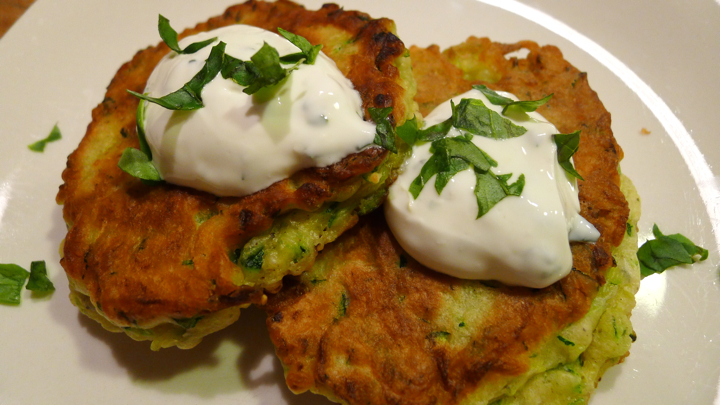 I’ve always wanted to try making zucchini fritters and for some reason thought it would be a little more difficult than it was. 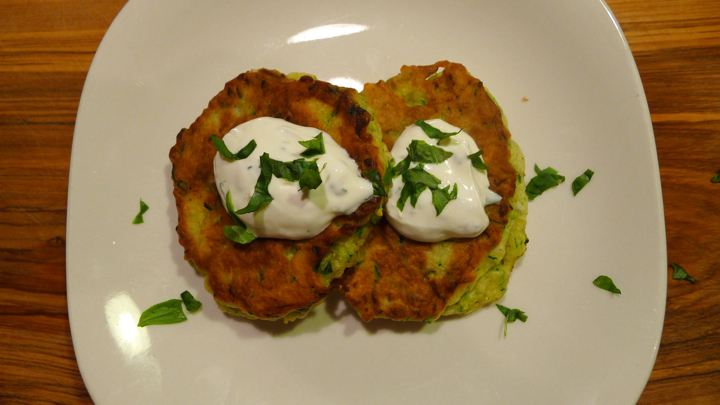 I had a huge zucchini from my veggies this week and decided to give it a try- it couldn’t have been easier! 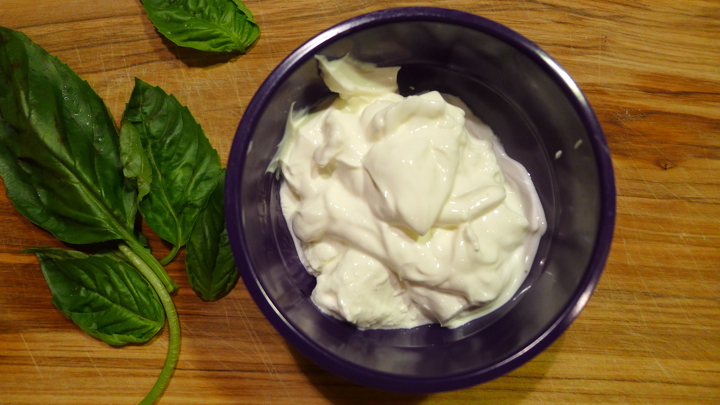 I also had some leftover basil from last week and decided to incorporate that into my sour cream with some lemon, which was really delicious. Preheat oven to 200 degrees. 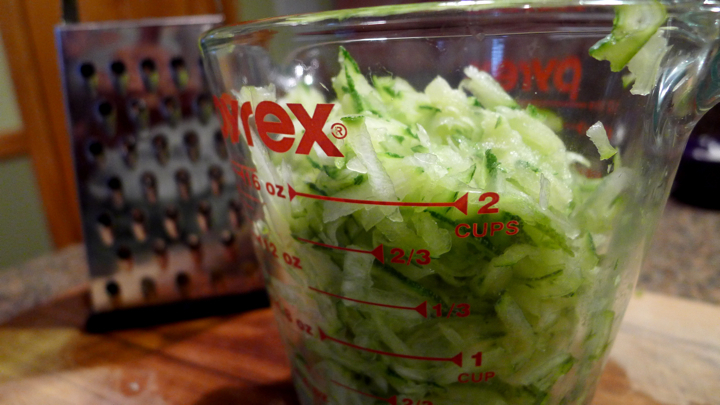 Grate the zucchini on the large holes of a box grater, add to a bowl with the 1 teaspoon of salt. 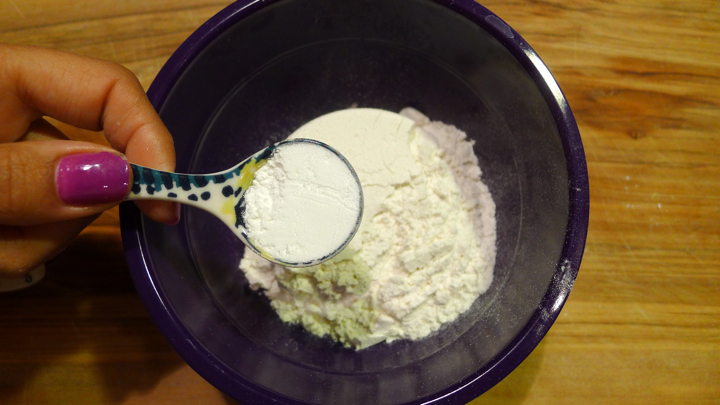 Mix well and let sit for 15 minutes. 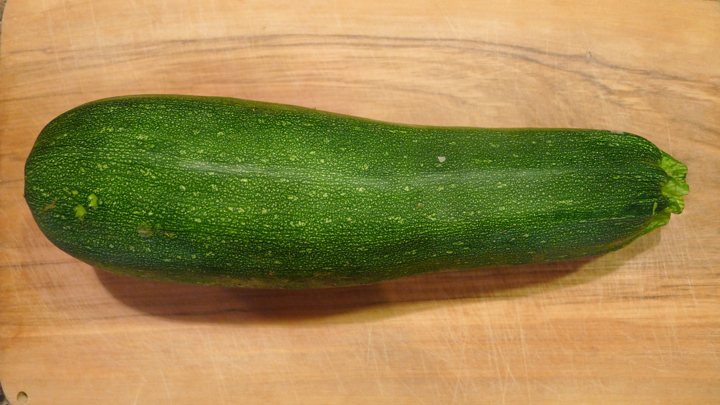 Next, add the zucchini to a colander and squeeze out all the liquid with the back of a big wooden spoon. Really make sure to take the time to get it all out! 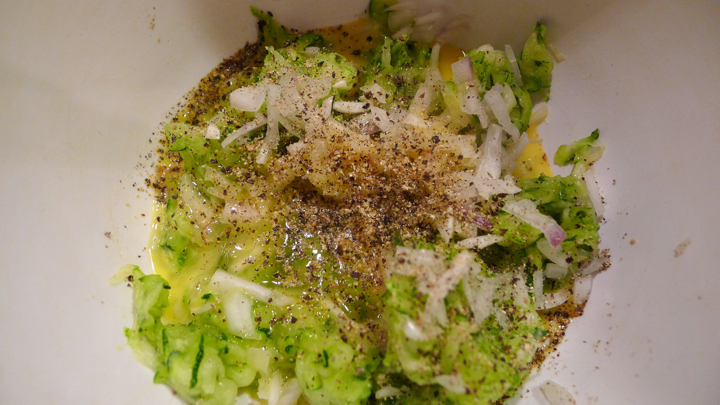 Place the zucchini back in a large bowl and add the onion, egg, and pepper. Mix together. 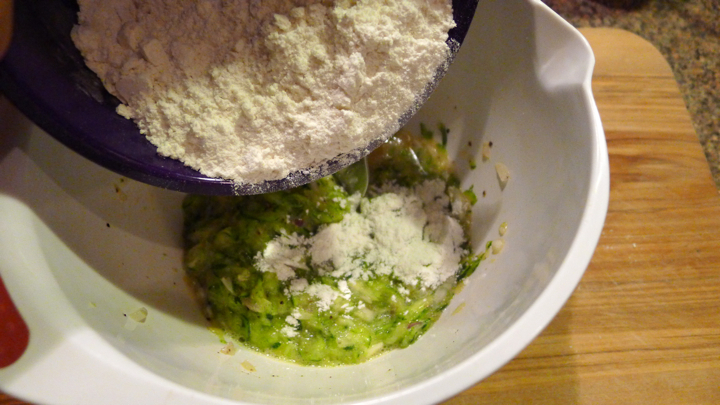 In another small bowl, whisk together the flour and baking powder then add it to the zucchini mixture. 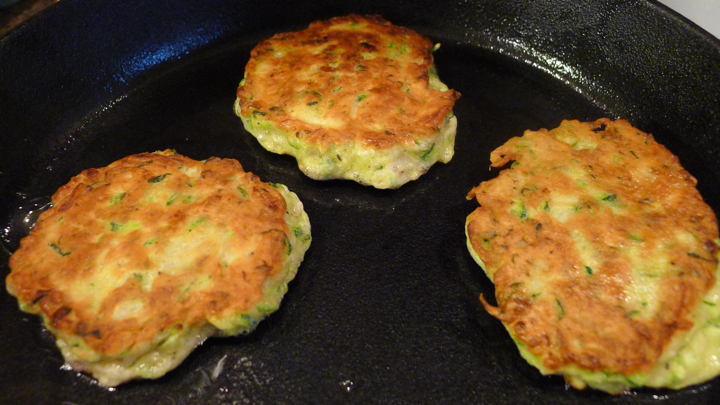 Heat your skillet over medium high heat (I used my cast iron pan) and add about 2 tablespoons of olive oil. 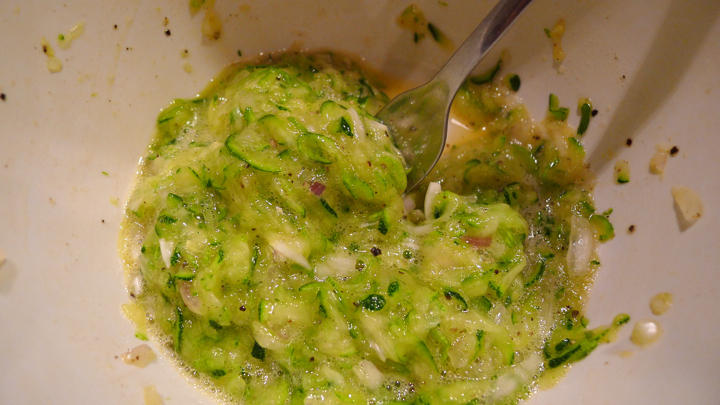 Scoop a few spoon fulls of the zucchini separately in the pan (I found doing 3-4 at a time worked best) then get sit for about 4 minutes until the bottom is golden brown. Flip with a spatula and cook the other side for another 4 minutes until that side is golden as well. 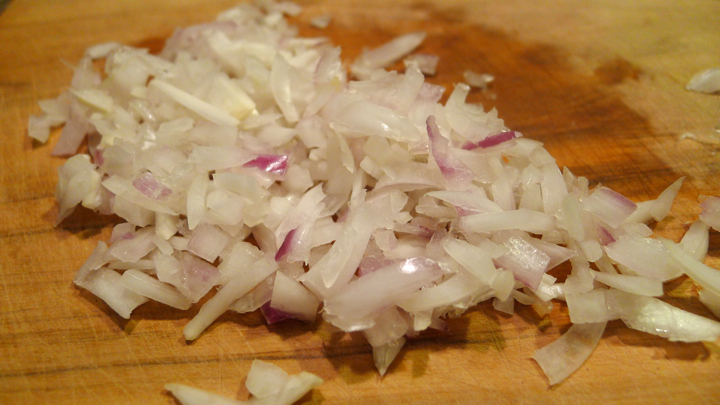 Transfer to a plate with a paper towel to absorb some of the oil. 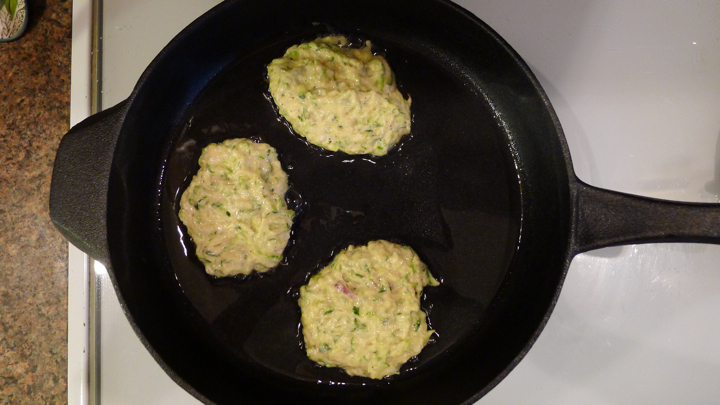 Finally, place all the fritters on a baking sheet and throw in the oven for about 10 minutes to make sure they are crispy and delicious. 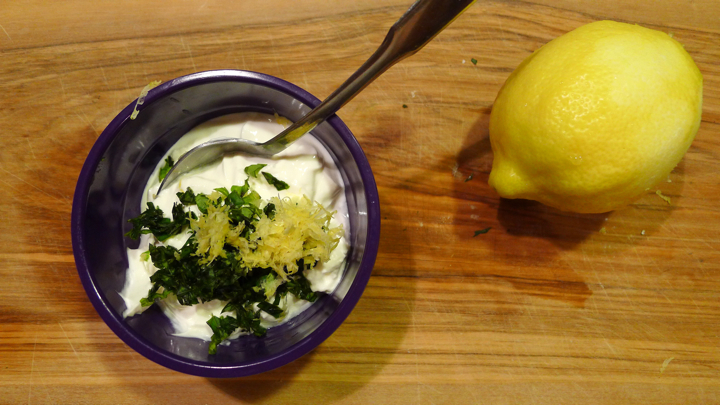 In the meantime, chop the basil and zest the lemon. 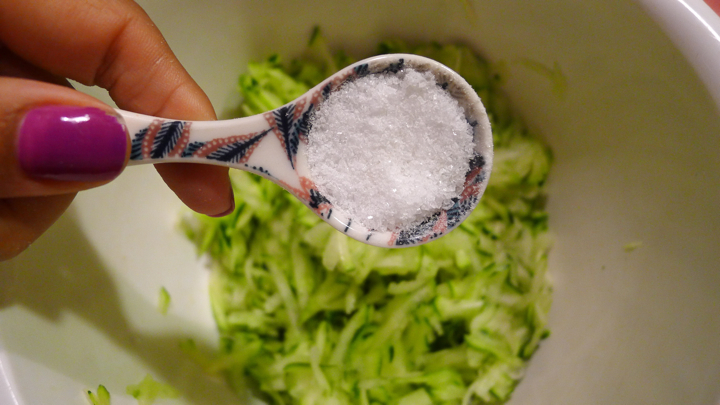 Add this plus the lemon juice to the sour cream and mix well. 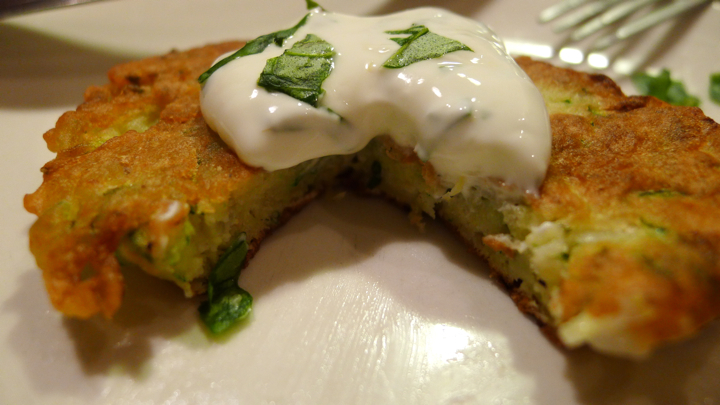 Once the fritters are done, top with the sour cream and enjoy!